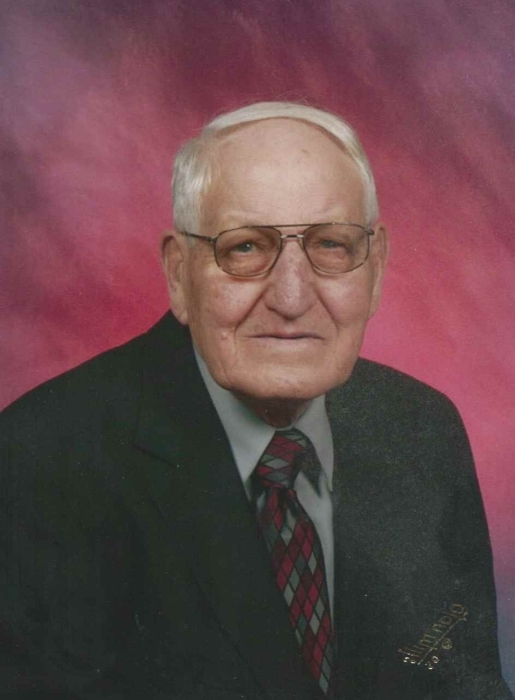 Obituary for J. Douglas Nelson | J. H. Lynner Co.
J. Douglas Nelson died on March 24, 2019 at Clarkfield Care Center at the age of 96. Memorial services will be held on Wednesday, March 27, 2019 at 10:30 AM at Bergen Lutheran Church with Rev. Matt Danielson officiating. Burial will be in the church cemetery at a later date. Visitation with the family will be held on Tuesday, March 26, 2019 from 6 to 8 PM at Lynner Funeral Home in Clarkfield with a prayer service at 7:30 PM. John Douglas Nelson was born November 13, 1922 in Chippewa County, Minnesota to John and Bertha (Maltrud) Nelson. Doug was baptized and confirmed at Bergen Lutheran Church, and graduated from Clarkfield High School in 1940. He attended St. Olaf College in Northfield for one year before returning to the Granite Falls/Clarkfield area, where he operated a farm west of Granite Falls, raising corn, soybeans and livestock. On August 1, 1953, Doug and Leola Mae Lund were united in marriage. They raised three sons: Jon, Jerry, and Leslie. Doug was active in church and community, serving a term as treasurer of Stony Run township, holding offices at Bergen Lutheran Church and the local Farm Bureau chapter, and was a long-term member of the board of directors for the Hazel Run and Tri-Line Elevator. He played softball and was in a bowling league for many years. He was fond of travel and took trips to Canada, France and Norway as well as most of the U.S. states. After retirement, Doug and Leola moved to Granite Falls. He was an avid baseball fan, often attending town baseball games and watching the Minnesota Twins. In his later years, he enjoyed golf, crossword puzzles and sudoku, and was often recruited to help his wife with the holiday baking. Doug moved to the Clarkfield Care Center in 2017. Doug is survived by sons: Jon (Linda). Marshall, Jerry, and Leslie, both of Granite Falls; grandchildren: Amanda (John) Herring, John (J.P.) Nelson, Eva (Matthieu) Poyet, Camille Nelson, and Theo Nelson; five great-grandchildren: Tommy, Sammy, Amara, Sarah, and Galliane. He was preceded in death by his parents and his wife Leola. The family wishes to express their gratitude for the wonderful care given to Doug while he was a resident at Clarkfield Care Center.